Researchers at ACES have developed a new method that can potentially reduce animal experiments used to evaluate the risk of carcinogenic chemicals. The new study was published in the journal Scientific Reports. Humans are exposed to chemicals, for instance via food and dust, that can be metabolized into carcinogenic compounds upon entering the body. These compounds, even at very low concentrations, can bind to DNA, which may increase the risk of cancer. 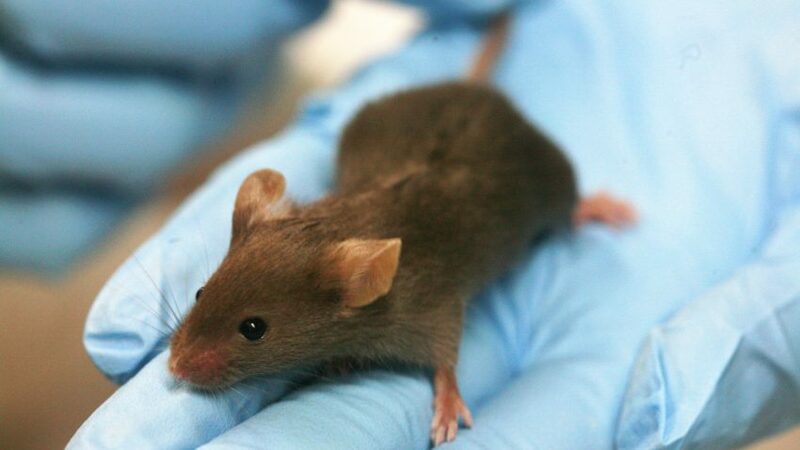 To study the formation of carcinogenic compounds, animal experiments are commonly performed. However, the use of current analytical methods requires that the animals are usually exposed to higher doses of these chemicals than those humans are normally exposed at, which makes it difficult to evaluate the risk at actual exposure levels. “In addition to reducing time, cost and animal resources, we foresee the need of a prediction tool in risk assessment that is accurate enough at low exposure levels, which is particularly relevant in the case of carcinogenic compounds,” says Hitesh Motwani, researcher at ACES and lead author of the study. In the new paper, ACES researchers Hitesh Motwani and Margareta Törnqvist proposed an equation that can be used to extrapolate the corresponding concentrations of carcinogenic compounds produced in the body. This is based on data comparisons between different species, which, according to the authors, could potentially reduce the number of animal experiments needed for future toxicological studies. Using this equation, the researchers were able to predict the levels of these carcinogenic compounds, which are normally too low to detect in the body using conventional analytical methods. Although the equation had already been presented in an earlier paper by the same group, the researchers tested its robustness further with an additional case study in the new paper. “The described equation is expected to be widely applicable to chemicals converted into carcinogenic compounds. We, therefore, hope that the equation will be regarded as a new tool within the 3Rs -, replace, reduce and refine, framework for animal experiments in toxicology,” says Hitesh Motwani.